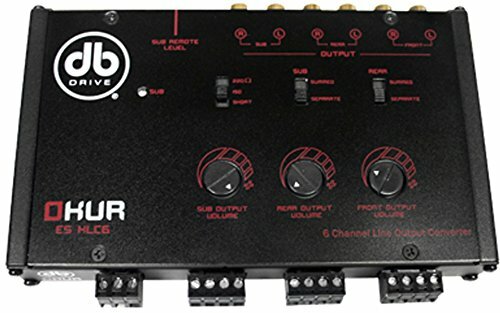 6 Channel Line Output Converter. Recommended Fuse Rating 1 Amp. Remote Trigger Output Current. Output Level: 9.5 Volts. Frequency Response: 10Hz - 25kHz. THD: 0.01%. Input Impedance: 180 Ohms. View More In Power-Distribution Components. If you have any questions about this product by Db Drive, contact us by completing and submitting the form below. If you are looking for a specif part number, please include it with your message.